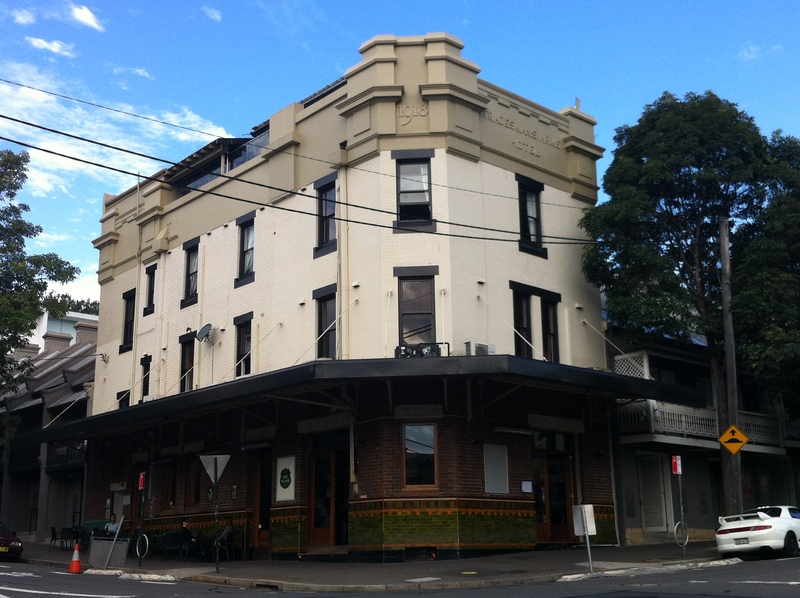 The owners of the East Village Hotel in Darlinghurst have tried their best to reinvent the place as a hip, relaxed pub in the middle of a trendy area, but it’s hard to miss the hotel’s old name – the Tradesman’s Arms – at the top. These days it’s hard to imagine tradesmen’s arms anywhere near this place, unless it’s to subject the pub’s period interiors to another refit. Speaking of period, the Tradesman’s Arms dates back to 1918, and during its lifetime was known as the ‘Bloodhouse’, due to the extreme violence often on show within. 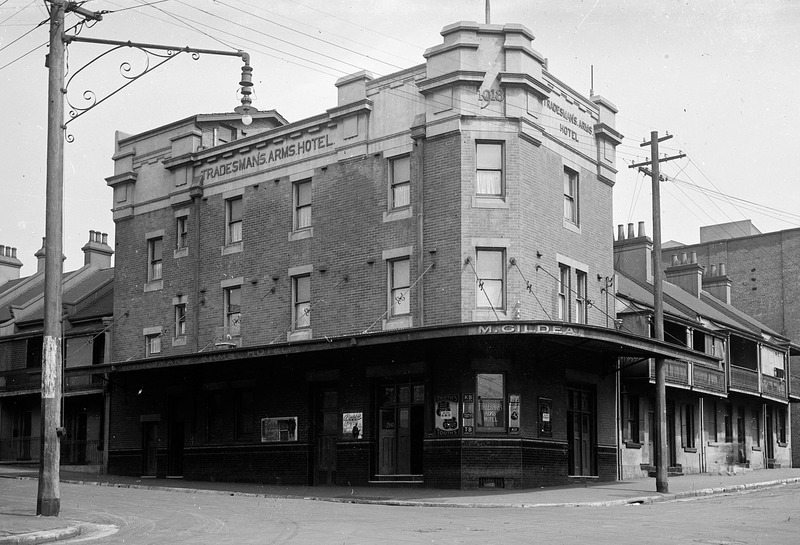 It’s creepy to think that there was a pub in the Darlinghurst-Kings Cross area that stood out for its violence; nowadays it’d probably be considered pretty tame. In a time when tradesmen were wise to arm themselves with razor blades, this place was a favourite watering hole of Sydney underworld figure Tilly Devine, which should absolutely not come as a recommendation. No wonder they changed its name. next the Trades-man’s Arms, This (Saturday) Morning, at half-past 10 o’clock. JAMES CURTIS, Undertaker, Hunter-street, March 11th. This must be the same hotel and much older than I though.